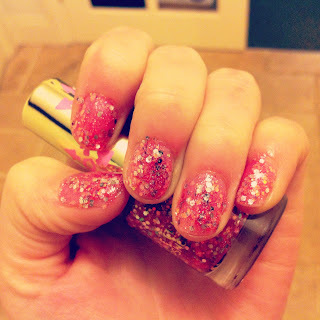 Curly Cutie: Topshop Nails by Louise Gray Review! Topshop Nails by Louise Gray Review! 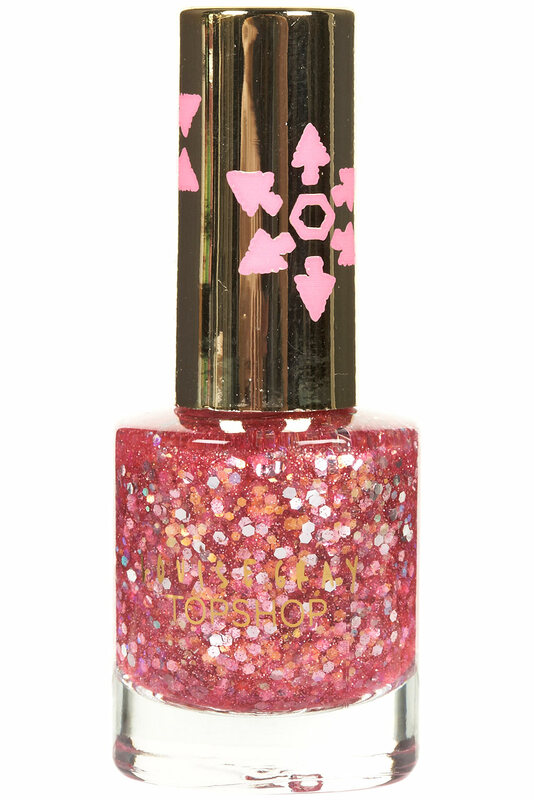 Hello lovely people of the interweb, here's another blog post for you and this time I will be reviewing a nail varnish from Topshop! 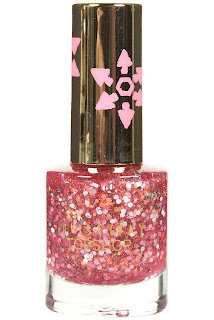 This nail varnish is by Louise Gray, who has collaborated with Topshop with AW12 to create a make-up collection, and I purchased 'Pinch Punch' (Fleur from Fleur De Force reviewed it at the end of the summer, check out her review here!) I thought the colour was super pretty and I do love a bit of pink glitter! When applied, this nail varnish was super lush - it was a little difficult to try and get the glitter evenly spread on each nail but I think the finished result looked great! Also, I didn't find it difficult to do my right hand (as I normally do as I am right-handed) with this nail polish for some reason, so that's a bonus! 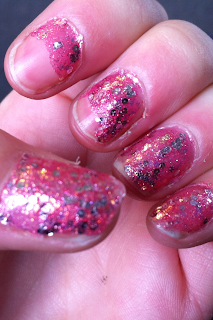 However, the second day after I'd applied it the nail varnish started chipping quite badly - I hadn't applied base or top coat (and they do recommend you do online) so if you're looking for a nail varnish that doesn't require these steps or that doesn't take a lot of time, this isn't for you!